These seven segment displays (I used to call them LED digits) are everywhere. Fortunately, they're very easy to drive. I had a MAN74A, which has two common cathodes, and seven input pins - one for each of the segments. 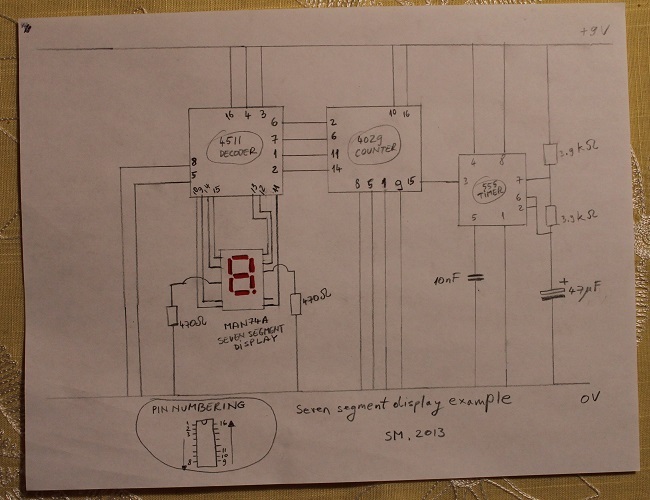 The seven inputs are provided by a really smart IC called 4511, BCD (Binary Coded Decimal) decoder. 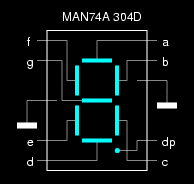 The 4511 takes in a 4-bit BCD number and outputs on seven pins in such a way that the MAN74A will display the proper digit. 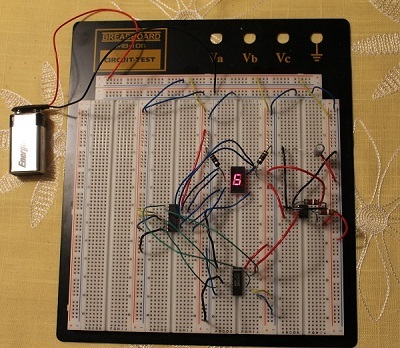 The 4-bit BCD number is provided by a 4029 chip, which is a binary/decade counter. What this means is that it counts up or down on four output pins, either between 0 and 15, or between 0 and 9 (which is used here), whenever there's a pulse on its clock input pin. 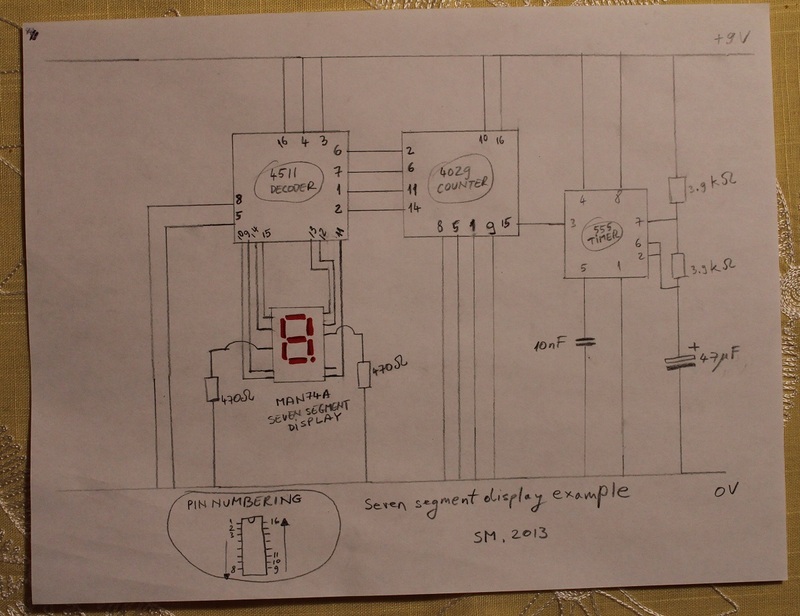 As expected, the clock pulses are provided by a 555 timer chip operating in astable mode. In short, [555 generates clock pulses periodically] -> [4029 counts up and outputs a 4-bit BCD number] -> [4511 converts from BCD to MAN74A's input] -> [MAN74A's LED segments come on].